Spirulina is a blue-green freshwater microalga that reproduces thanks to photosynthesis and is rich in proteins, vitamins, minerals, antioxidants, essential fatty acids and carbohydrates. It grows spontaneously in the lakes of Central America and Central and Eastern Africa, where there is a high alkalinity rate, a strong concentration of mineral salts and a constant water temperature between 30 and 40 degrees. The curious name of this microalga derives from its shape that recalls, in fact, that of a spiral. Its bluish-green color is due to the vegetable dyes contained in it, such as chlorophyll (green), phycocyanin (blue) and carotenoids (yellow). A precious “superfood”, the World Health Organization defines it “the best food of the century”. The first people to discover its use in the food sector were the Aztecs, who knew its nutritional properties and called it "food of the Gods". Already in 1974, Spirulina was nominated by the UN World Food Conference as "Food of the Future", thanks to its multiple nutritional properties and high cultivation sustainability. The Algae with the most surprising beneficial properties! It is a very versatile natural food that can be consumed added to smoothies, drinks, juices, yogurt, or integrated with other ingredients to give life to really interesting recipes and preparations such as bread, pasta, soups, salads, desserts and more. 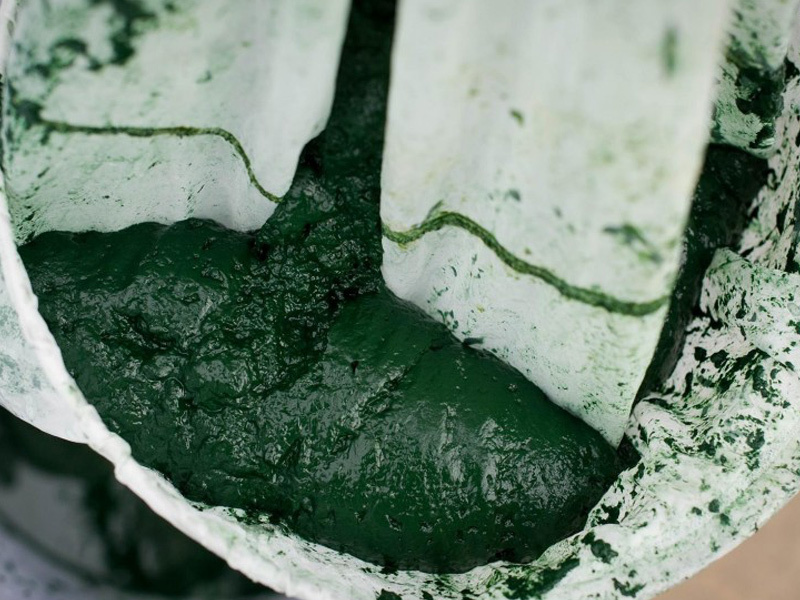 Spirulina is also a valid alternative to artificial blue dye. From this microalga we can naturally obtain all the colors which contain blue, like various shades of green, violet and those of blue itself. All this is possible because the Spirulina Algae contains Phycocyanin, a compound of proteins and blue pigments that is not found in any other plant and that can represent up to 14% of its dry weight; in addition to its characteristic color, Phycocyanin has also important antioxidant and anti-inflammatory properties. 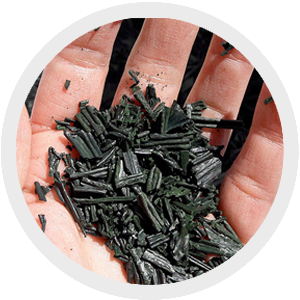 Spirulina can therefore be used as a natural dye in the food industry, to make smoothies (low-fat, low-sugared drinks), ice cream, biscuits, macarons and any other dish, colorful and fun; it can also be useful to create natural dyes for fabrics in order to avoid the use of chemical elements and enhancing the potential of this microalga also from an artistic and creative point of view. 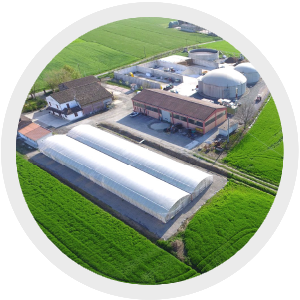 Our cultivation and production plant is one of the largest in the small Italian panorama of spirulina producers, and can benefit from 1200 square meters greenhouse tanks, able to produce a quantity equal to 2000 kg of product per year. 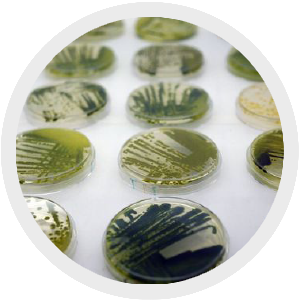 Our tanks are placed in a "controlled environment", both production waters and the products themselves are subjected to microbiological and chemical analysis. We guarantee the best quality and food safety standards. Our procession allows us to obtain a 100% pure organic product, without adding additives, excipients and thickeners. Over 60% of vegetable proteins, containing all the essential amino acids. Over 15% is represented by carbohydrates in the form of polysaccharides. Mono and polyunsaturated (Omega 3 and 6). Vitamin D, vitamin E, B vitamins (B1, B2, B3, B6, B9, B12), vitamin K.
Iron, magnesium, phosphorus, potassium, calcium, manganese and zinc.